The Phono Box USB V is a very high quality phono stage pre-amplifier is perfect for breathing new life into your vinyl collection. 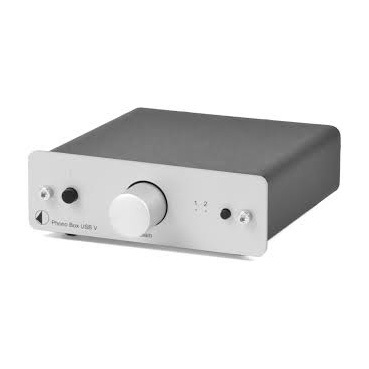 It takes the delicate low level signal from your deck and boosts it to a level that can used with most (line level) analogue inputs in your HiFi or AV system. It also has a digital USB output for converting your records into CD quality digital recordings on your Mac or PC. This very high quality phono stage pre-amplifier is perfect for breathing new life into your vinyl collection. 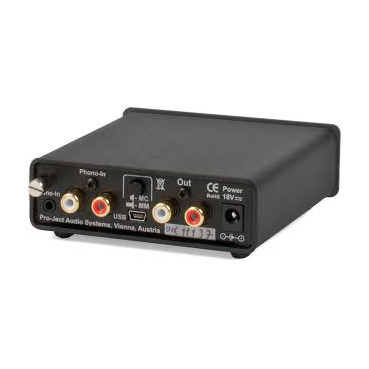 It takes the delicate low level signal from your deck and boosts it to a level that can used with most (line level) analogue inputs in your HiFi or AV system. It also has a digital USB output for converting your records into CD quality digital recordings on your Mac or PC. These files can then be stored for playback on almost any digital device, i-phone, android device, i-pod, or via a streaming system. 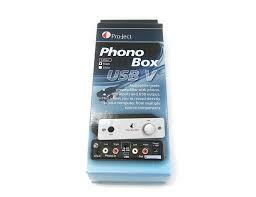 The Phono Box USB V is compatible with any deck fitted with a Moving Magnet or Moving Coil cartridge (switchable). Standard Line Level output for driving any conventional analogue audio amplifier. USB output – no additional driver required for Mac OSX, Windows, or Linux operating systems. 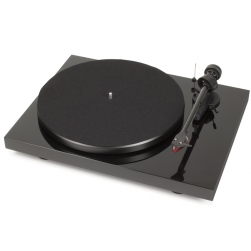 It makes an ideal partner to our Pro-Ject Debut Carbon record deck.